On Wednesday October 11th St. Peter’s College held the first of it’s Speaker Series for the 2017/2018 year. The first of these was on Sustainability in Agriculture, which was presented by Joy Agnew. 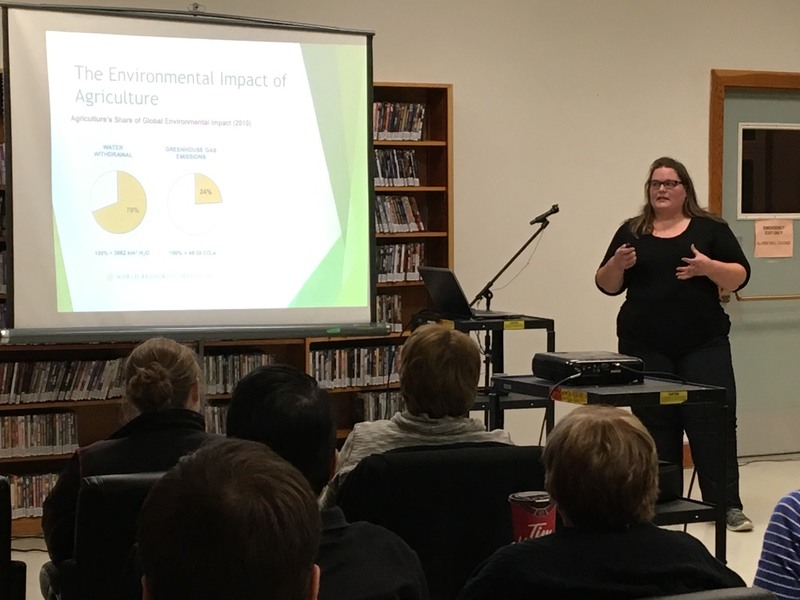 The talk covered multiple subjects in sustainability from, the use of nitrogen based fertilizers, to how to grow enough for the people around the world. Did you know that we use 175 million tonnes of nitrogen for plant growth? She also talked about the solutions we should work towards to help us survive and improve the environment at the same time. Some of these ideas include, converting all crops into nitrogen fixing crops, stop wasting food, and begin intercropping. The talk was interesting and informative for everyone in attendance.